Courtesy shuttle transportation is available to your desired destination within the local area. Return transportation is also available when services to your vehicle are completed. Please contact your Service Advisor in advance for use of shuttle service. Complimentary loaner vehicles are provided on an appointment basis. Please be sure to mention when making your appointment that you will require a loaner vehicle. You are required to provide proof of insurance. You must be at least 21 years of age, the owner and named insured of the vehicle in for service (your insurance policy and provider will be the primary in the event of a motor vehicle accident). The driver of the loaner vehicle will need to present a valid drivers license and a major credit card. Only the person(s) listed on the rental agreement are eligible to operate the loaner vehicle. All highway-bridge-tunnel tolls, as well as traffic and parking tickets are the responsibility of the driver. You are authorizing the use of the listed credit card for the payment of any traffic, parking, or tolls violations while the loaner car is in your possession. Please ensure that the loaner vehicle is inspected with our loaner staff prior to leaving our premises. All damage not noted on the original condition report are the responsibility of the driver. We are not responsible for personal property left in the vehicle. In case of a motor vehicle accident you must provide a police report and provide a claim number from your insurance company at the time of the accident and prior to vehicle return. Smoking and pets are not permitted in our loaner vehicles. A $300.00 detailing fee will apply. Use of loaner vehicles outside of the metro New York area or more than 200 miles of the dealership is not permitted. In an effort to maintain an ample inventory of loan vehicles for all clients, this vehicle must be returned within 6 hours of the completion of service, or is subject to $150.00 per day rental charge. The loaner vehicle must be returned with the same level of fuel as when received. Penske reserves the right to charge you $3.50 per gallon to bring the vehicle back to the same fuel level. Services requiring less than ninety minutes do not qualify for a complimentary loaner vehicle. 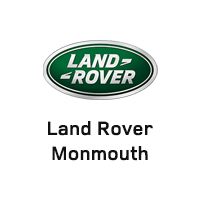 Spend some time with our Jaguar/Land Rover family and we will have you on your way in no time at all! Penske reserves the right to discontinue loan car privileges to those violating the policies above, and terms of our Loan Car Policy are subject to change without notice. Thank you for your continued patronage and for abiding by the policies that make it possible to provide this service to you.